Michael J. Morrison is a partner with Hinkhouse Williams Walsh LLP. Michael’s practice focuses on representing product manufacturers and distributors in high-stakes litigation. Michael has extensive experience handling complex litigation involving toxic tort, product liability, and premises liability claims. Michael is heavily involved in asbestos litigation and has handled cases across the country. Michael has defended cases involving traumatic injuries including paralysis, brain trauma, mesothelioma, injuries requiring amputation, and death. Michael has briefed, argued, and been successful on numerous motions for summary judgment and motions to dismiss. Michael obtained his undergraduate degree from Northern Illinois University, where he studied on a four-year athletic scholarship. Michael played Division I Men’s Basketball for four years and was the team’s Co-Captain as a Senior. Michael was awarded the NIU Men’s Basketball Team’s Heart Award in 2003, which is given to the player who demonstrates the most inner drive and determination. Michael was included on the 2016 Emerging Lawyers Magazine list for Product Liability Defense Law and on the Illinois Super Lawyers-Rising Stars list for 2011. Hinkhouse Williams Walsh LLP is pleased to announce the firm's newly elected partners. 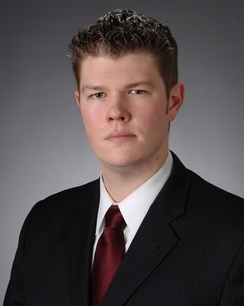 Michael J. Morrison named Illinois Rising Star for Personal Injury Defense: Products in 2011 Illinois Super Lawyers.